Something is Coming: Will You Be Ready? And it’s not just on the TV anymore, it’s happening all around us. We’re destroying currencies around the world. And if you think it’s for a glorious reason of rebuilding economies and strengthening growth you better look at reality and see where we’re at right now and understand what’s coming next. Because what’s coming next has played out in history before. You have a situation where very few institutions on top wage financial war against countries of the world, and when economies fall and when civilizations in a lot of cases fall, they swoop in and garner even more power. But we’re doing it on a global scale, digitally. You are not sovereign if you have a group of bankers who can dictate the financial policy of your country. You are not sovereign. You are not in control of anything. Understand, these guys are all in. You’re not going deeper than zero in interest rates. You are not going more easing than forever. It is at the end of the road, and we are circling the drain ready to be let into this total global financial toilet bowl. And at the end of the day they’ll be standing there with the solution. They’ll be standing there with a solution when you’re paying 40%, 50%, 60% of what you earn to put food on the table for the kids who moved back into the house. Our politicians are not working for us. They’re working for the people that make the money. Unfortunately in the United States of America it’s not Article 1, Section 8 of the Constitution where Congress coins money, it’s a bunch of central bankers that just happened to collapse the economy and are just going to be happening to sit there with the solutions. For a long time now I thought this could all be turned around but now I feel we are fast approaching the tipping point where we can no longer go back. The sad fact is, the majority are far from prepared…even for minor disturbances in power or supply. Believe me. I get it. I was once there myself. I wanted to give you guys a heads up. Next week I’ll be releasing a unique resource (I’ve been working on it for a while now) that will be of great help to many of you who are struggling to get prepared. I’m really excited about it and think you will be too. Whether you’re thinking you don’t have the resources or you don’t know where to begin, or even if you’re a more seasoned prepper and want to go to the next level, I think you guys will really dig what I’ve developed. So do you guys feel you’re ready? I’d love to hear in the comments about how you’re doing, or some of the things you are struggling with when it comes to prepping or what the next plan is for your prepping goals so leave a comment below! Love the article great work, Yes you are right about these things, I’ve been watching the global markets for some time now and since I myself was foreclosed on it really hit me that we have to come to a realization that the masses are indeed being lied to on a grand scale. No politician works for the people! they work only for themselves and their greedy banker friends. they create the problems, the masses react to the problem, then they the bankers etc offer the solutions! Madness in a nutshell! The people need to wake up! but in all reality they are nothing but pawns in a grand game of chess! Greed only begets more greed, there needs to be a massive reaction worldwide to the true problem that confronts us, and that is the greed of these monsters. The Governments bail out the banks, but yet is there any bailout for the people? Hell no! not on your life! we need to get our act together and rid the world of this diabolical filth that causes the problems in the 1st place. Your absolutely right. For the “commoners” like you and I there are no bailouts. That means we’re on our own when the SHTF. So (this is addressed to all my readers not just Paul) what are you doing to prepare for it? Are you actively prepping or are you struggling with certain things (time, money, knowing where to begin, etc)? Has anyone noticed that the IRS ordered something like 5 million rounds of ammunition. What does the internal revenue agency need bullets for. I’m not sure if this is as nefarious as it sounds. For example the SSA (Social Security Administration) is set to purchase 174,000 rounds for the new fiscal year. The SSA like many federal agencies has an armed component (special agents). Currently the SSA has around 230 of them which leaves about 750 rounds per agent for training and duty. As for the IRS ordering 5 million, I haven’t heard of that yet. But even so, with around 3000 IRS “special agents” not including their other armed officers leaves around 1,600 rounds per agent. Again not much when you consider training and field needs. I personally have far more than that for each of my firearms. What’s more concerning to me is the government waste in having all these extraneous divisions that could be handled by far fewer. A simpler tax code that could remove the IRS entirely and so on. Cuts need to be made. Lets start there. I just joined last week, but what a great website — not too over the top and really helping the beginners in this journey. I’m not new to prepping as I’m a follower of the pole shift theory from an incoming (& re-occuring comet), but I think we all appreciate new ideas. This week I am struggling with illnesses in my herds — the goats have been fighting colds all fall, but my rabbits came down with the snuffles this week as well (had to be the does, of course!). I got Terra Vet (tetracycline) at the feed store and I am so surprised how many uses this anit-bacterial and anti-biotic has around a homestead! Dogs at the vet last week now have kennel cough, Tetracycline! Bacterial infection, tetracycline. You guys probably already know all of this. . .but you asked us to share and that is our problem/solution for the week. Vet Rx is also a good natural product for respriratory issues in herds. A good link to check every day to see what the earth is doing. . . Thanks for the comments, link and updates Zorro! Given your experience, we’d love to see you around here more often sharing some of what you’ve done. Sorry to hear the herds have been sick. My own “herd” (kids) have been under the weather this past week as well. right now my main frustration is trying to prepare for the whole family. It was just my partner and I, but then the kids moved back in..with and infant and a toddler. So we thought were were on the right track getting ready and our preps had to take on a whole dimensions. So we are trying to figure out how to prep for a crowd-with babies! Both my partner and I are on SS. So money was limited to begin with, but we are slowly figuring out what to do. There’s no choice- is is indeed running out. Good on you Jackie. Tough times are ahead. It’s fantastic to hear that despite your limited budget you’re still finding ways to prep. You are more than welcome, TI — and I will put you on my daily checklist along with the earthquake monitors. As you can see from today’s activity, something is happening world wide from a 6.4 quake near antartica in the last hour or so. Another good site is being phased out, so, here it is and it’s replacement site. The New Madrid fault line (along the Mississippi River) is reported to be the next in line for a large adjustment in the U.S., possibly initiating the masses dependent upon the government and our move to an eventual barter system as things deteriorate from there. 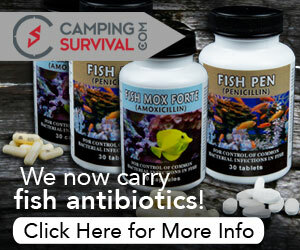 Protect your seeds, herds, and family! So TI, what’s the big surprise next week? You got anymore info? I’m going to be going into a lot more detail about it in a couple of days. thanks for asking! i am inclined to agree with you, I to believe that things are not what they seem to be in our country. And i am prepping everyday.All we can do is our best to keep the family safe . And be able to depend on our own resources. I am an iraq war vet my self so i am very fearful of what may happen to this country. Thanks for all the good info that you put out it is a big help. Thanks so much for your comments and your service. Sometimes it feels like you’re in the first car of a roller coaster cresting that first hill on a ride that you’ve never been on. You know it’s coming, you know it’s going to be scary, but you don’t know what you’re getting into or how bad it’s going to be until you go over the top. Then all you can do is holler and hang on! 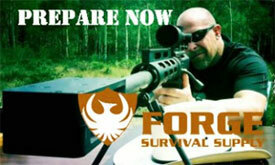 This site and all the other fine prepper sites will help many survive that wild ride that we feel is coming. By planning ahead, we can survive, food shelter and water are all needed for survival. If by chance I loose my home, I already know where some caves are at with good water close by. by knowing where food sources are at, it will be tough but doable. When i built my home on the farm, I prepared for the unexpected. The well is not on my property with the house as I drilled it on the farm, The power has a disconnect on the farm and also grey water drains go across property lines which can be plugged. Who would want to buy a house without electricity, water and drains backing up? I also have four types of heat, electric, gas, wood and solar. A solar heat box is inexpensive and will add a lot of heat to a home through a south side window during the winter. Being able to raise food and store it becomes important. Explore ways to can vegetable when off the grid such as using a fifty five gallon drum cut off to water bath can over open fire. Learn the craft of preserving meat without a freezer by using sugar, salt and smoke or canning it. Pressure cookers can be used over wood fire with careful attention. 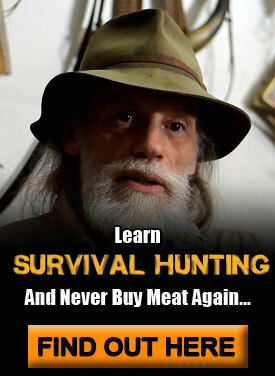 Pat can you give us some links showing how to preserve meat outside of the use of a refrigerator . After investigating the site more, wanted to say thanks TI for some really good information. The yeast for bread making so simple and necessary in troubled times, making your own cord bracelet/belt, great! And the Lucky Gunner link has the best prices on ammo around. Thanks, Ti. One thing we found as preppers is the inability to make cooking oil without large fatty animals. This link shows how to make your own sunflower seed press. Love your site,very informative! We have been prepping now going on 4 years,and I still don’t feel ready! What I want is some property back off the main road,with a Cabin,Well with a hand pump,cellar and a good wood stove! Is that too much to ask Santa for?LOL O well still praying for My Country and Family, and putting up supplies. I’ve had a bad feeling that something wicked this way comes since 2007. God speed to all and keep prepping! If you’re interested in the globalist wealth control scheme, I suggest checking out Silver Shields (Chris Duane’s) site sonsoflibertyacademy.com He has spent hours of work putting ‘modules’ together about how controlled we laborers are in t he world. There is a vast elitist conspiracy for controlling all wealth on the planet. It’s comprised of the most powerful families on the earth…the Rothchilds, Rockefellers, etc… Truly evil. You can access his stuff for free, or contribute if you wish. Im surprised that nothing has been said yet about the drought in the Midwest. It’s going to be a rocky time for the next few months, and possibly the next few years if drought conditions continue in that region. Meat prices will soon decrease as farmers who lack the funds to feed their livestock sell their animals (due to the shortage of grain, farmers in my area have been feeding their pigs whatever they can get their hands on, even candy), creating a surplus. For a time, people will enjoy the cheaper meat. Then, when the supply runs out, the prices will go from cheaper to more expensive than they were before, rubbing even more salt in the wound. This is going to cause problems. What is your take on this up and coming issue, TI? What increase in natural disasters? When an article starts with a myth largely perpetuated to goad the ignorant into accepting totalitarianism, it’s hard to take anything on the whole site seriously.